Prysmian FP300 is designed for cabling essential safety circuits associated with life safety, Life Fire fighting or property protection applications used in a wide range of public access and industrial complexes where continued circuit operation in the event of f re is required. These include critical circuits associated with f re detection and f re alarm systems, emergency lighting systems, smoke control, f re suppression systems, evacuation lifts, and sprinkler and riser pumps. Prysmian FP300 is an unarmored cable with inherent f re resistance providing an easy to install and terminate f re resistant wiring system. In addition to maintaining circuit integrity during a fire, FP300 produces very low levels of smoke and virtually no (less than 0.5%) acidic gases, thus safeguarding human life and protecting equipment. FP300 handles like a standard unarmored cable and can be installed just as easily. No special tools or accessories are needed for installation or termination of FP300. Exposure the use of a black sheath is recommended. 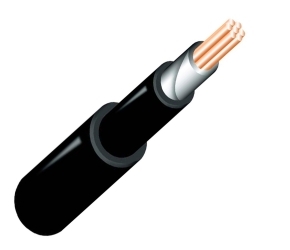 Prysmian FP300 is Loss Prevention Certification Board (LPCB) listed as a fire resistant cable and is approved to BS6387 Category CWZ at an enhanced voltage of 600/1000V and IEC 331 at an enhanced temperature of 950°C. All Prysmian FP300 cables are manufactured under an ISO 9001 Quality System certified by BASEC and LPCB. Clipped direct applications. It should be installed in accordance with BS7671/IEE Wiring Regulations or any other appropriate national regulations. Although standard cable fixings and glands, nylon or brass, may be used, it is important to ensure that, when the cable system is required to maintain circuit integrity in a fire, any fixing used to support the cable can also withstand that f re. Minimum recommended installation temperature 0°C.